Our breasts cover our heart. If you have ever nursed a baby, it is clear that our breasts are not there for adornment, they are a primary organ of nurturance and sustaining life. They are enervated directly to our sexual center, one of our primary sensory organs to awakening libido. Their attraction, often confused with size or shape, is truly about how they connect us to our heart and the pieces of life that are most life affirming. The rate of illness in this region of our body is mind boggling. 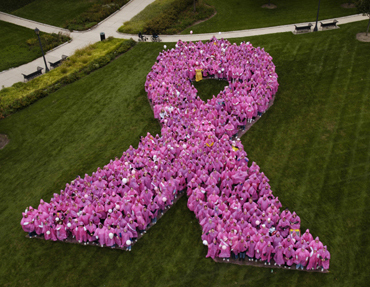 Breast cancer affects one in eight women everyday. Heart disease kills one in four women. Just last spring, when I was called back to re-image a lump in my own breast, waiting in the hospital gown for a “better view” of what was happening in my breast, the truth of these numbers hit home. Any of us can become part of these statistics at any moment. And I knew, sitting there, that for the one woman out of eight who gets the unfortunate response of cancer, everything in her world and relationships shifts at that moment. The physical illness that we aggressively treat with an incredible range of toxic chemotherapy or radiation therapy moves the focus to the symptoms and complications that these treatments exact. Life is consumed by the physical battle to sustain during these life challenging treatments. Many patients are left to deal with the emotional battles on their own. This work of the heart is complex and layered. Whatever issues existed prior to the diagnosis have often yet to be understood and articulated, but now the more pressing fears and coming to terms with mortality and loss can overshadow everything. Few doctors who plan the medical attack on the cancer are equipped or have the time to explore this critical side of the illness. Even fewer recognize how much this work impacts recovery. That sexual dysfunction issues are often ready companions to this difficult situation is not surprising considering the interruption of normal hormone production that the treatments precipitate. The results on a physical level are frequently the early onset of menopause, vaginal dryness and loss of libido. Combine this with the psychological damage of losing a breast, and the feeling of sexiness feels about as faraway as the days pre-diagnosis. The irony of the situation is that the heart of the matter for most women is that serious illness of the heart region can often be linked to emotional distance and inability or unwillingness to share one’s emotional life. Love and intimacy are how we connect most deeply to our lives, our relationships and our life. The millions of reasons that we cannot or will not open up are as unique and individual as each woman’s struggle with disease. As we take time to honor the women who both survived and were lost to this disease, let us also give ourselves to the heart of the matter- choosing to love ourselves, our lives and the people who live with us.